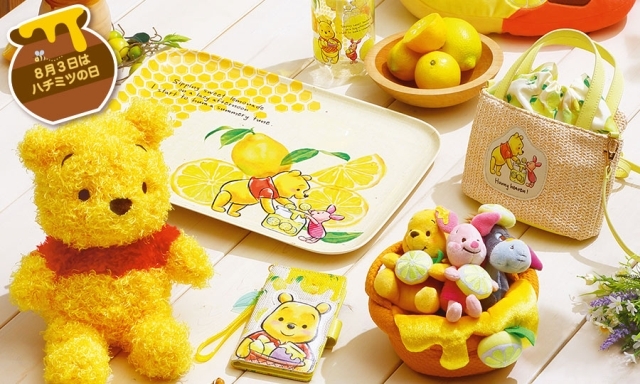 Thanks to a play-on-words, August 3rd marks the unofficial celebration of Winnie-the-Pooh across Disney stores in Japan. Why August 3rd? The Japanese words for the numbers “8” and “3”, hachi and mitsu, happen to have the same phonetics for the word “honey” which is a combination of those words, hachimitsu. Hence, conveniently for Disney Stores and Pooh Bear, Hunny Day. This year’s theme covers lemons as in lemonade, and probably because it just so happens to be a fruit which is the same colour as Pooh. Here’s a few peeks at some of the merchandise. 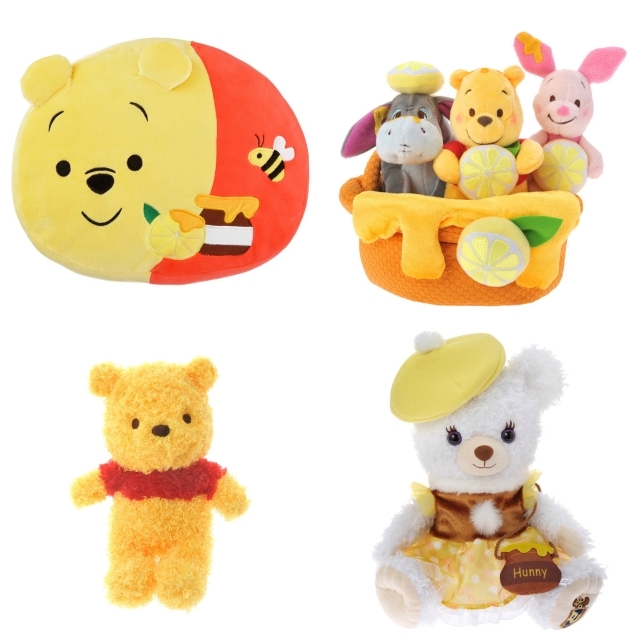 Similar to last year, a special tsum tsum line has also been released to celebrate Pooh and his Hundred Acre Wood friends. This year, they take on a honey bee theme. 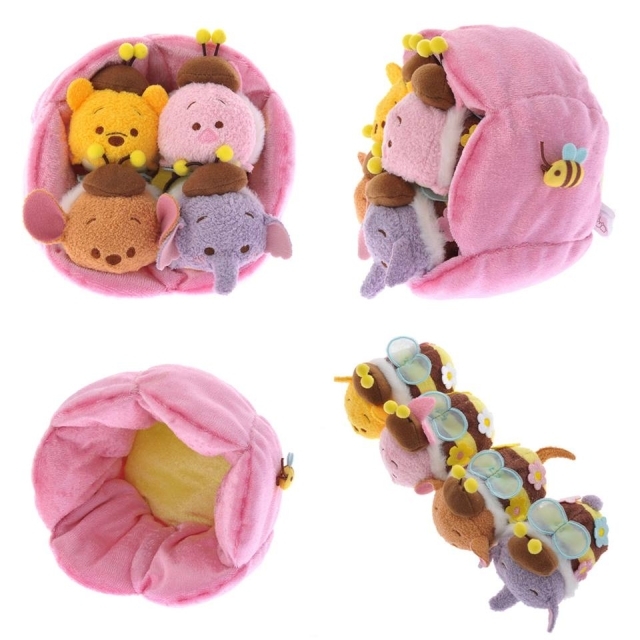 The seasonal tsum tsum set houses Pooh & Friends in a purple tulip. For the first time, Lumpy the Heffalump joins the lineup. 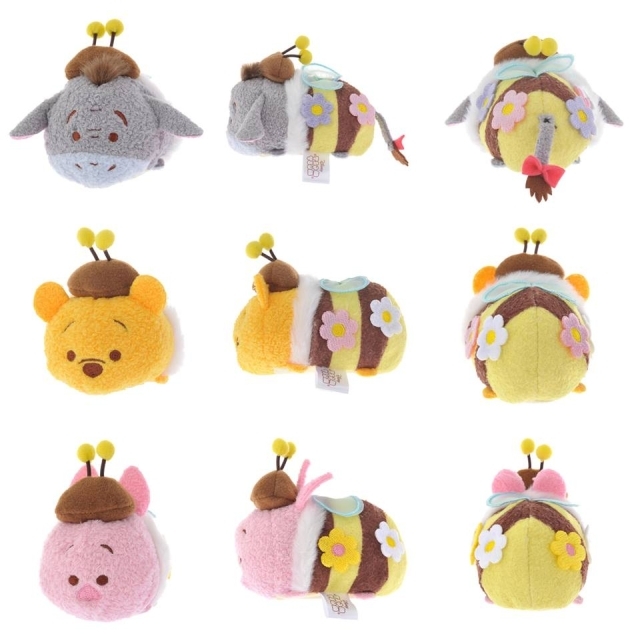 Lumpy is available only as part of the flower set and not sold as an individual tsum tsum. 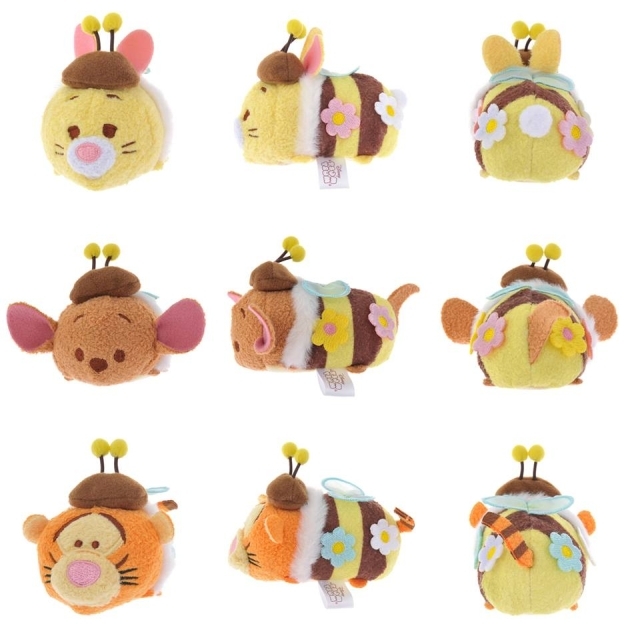 The front, side and rear profile of each tsum tsum. What makes this line particularly endearing are the flowers decorating their bodies. Rather than being embroidered, it is singularly crafted and attached on the tsum tsum, thereby giving it a much more tasteful appearance. 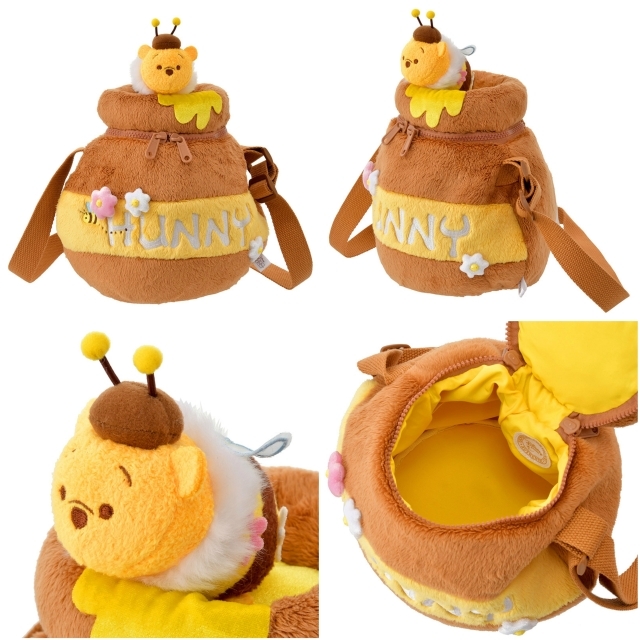 In addition to the tsum tsums, there is a plush bag in the shape of a honey pot. A single honey bee Pooh tsum tsum sits on the rim of the pot. Images credited to and © the Disney Store.